Come take a stroll down memory lane with us and visit the games and stories that have helped make up our industry. Every week we'll take a look at various items of interest to us - this week we've uncovered items from September 14th through the 20th. You may find something new and interesting to win your next gaming trivia contest with, or be reminded of an old game you used to spend many hours over 'back in the day'. Although there are very little other dates mentioned other than a vague "September 1971", we'd like to celebrate the inauguration of this column with a mention of The Galaxy Game. In September 1971, this reprogrammed version of Spacewar! was installed in Tresidder Union, on the Stanford University campus. One of a kind, The Galaxy Game cost $20,000 to produce and offered a single gameplay for 10 cents or three games for 25 cents. Galaxy Game doesn't get much attention in the press - certainly not as much as Pong or Computer Space, released in November 1971 by Nutting Associates, but it was too interesting to ignore. This week in 2005, pirates and modders got a bit of a wake-up call as Washington, DC area resident Biren Amin was sentenced to five months of prison and three years of supervised release. Amin, former operator of Pandora's Cube, a haven for pirated games and illegally modified Xboxes, was also required to perform 80 hours of community service and pay a fine of $247,237.05. Convicted in May along with three others, all four of them plead guilty to charges of conspiracy to commit felony copyright infringement and conspiracy to violate the Digital Millenium Copyright Act. Cheering was heard from the Entertainment Software Association (ESA). In 2006, the Wii was given a street date for North America, and a price - $249.99 USD. With ambitious plans, the buzz was pretty high over the online Virtual Console service and speculated launch titles. Nintendo also boldly announced the intent to ship four million consoles worldwide that year. Additionally, game violence was the topic of the week back in 2006, with the week before seeing an excessively violent shooting at Montreal's Dawson College. It didn't take too long for the media to draw a link towards video games - notably Postal and Super Columbine Massacre RPG. This move sparked comments from just about everybody, a lot of them mostly aimed at the media for whipping up yet another frenzy over how videogames cause violent behavior. Perhaps the most notable entry for this week in gaming history, though, was the 1997 appearance of a strange little game called Oddworld: Abe's Oddysee. 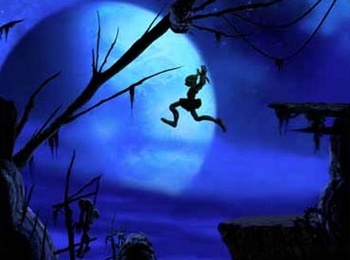 First arriving on the PlayStation on September 19, 1997, this side-scrolling game generated many positive reviews upon release and inspired several sequels and "bonus games" in the Oddworld series. This quirky little game quickly became a media darling, with more than two dozen awards and three nominations from the Academy of Interactive Arts & Sciences over 1997 and 1998. That's all for this week, but we've got plenty of stories to tell in the weeks to come!